Starting at Leighton Buzzard we follow the main line of the Grand Union Canal to Birmingham, passing over the summits at Braunston and Knowle. 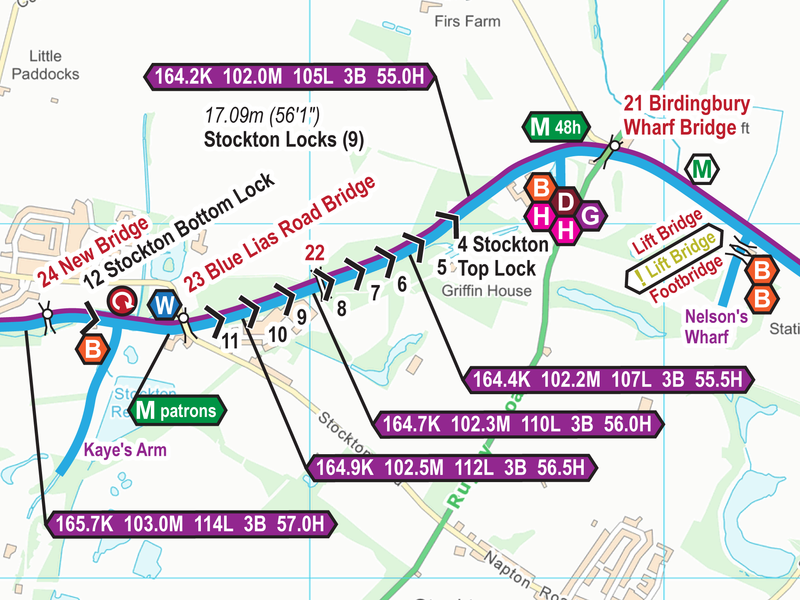 Along the way we’ll visit the Northampton Arm, the Saltisford Arm and the Digbeth Branch. 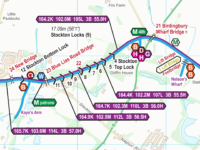 We’ll see the swing bridge at Fenny Stratford, the Hatton flight of locks, the attractive Braunston Turn, and the long tunnels at Blisworth and Braunston. Watch the wonderful scenery, and the interesting sights along the way. We’ll visit the Canal Museum at Stoke Bruerne too. 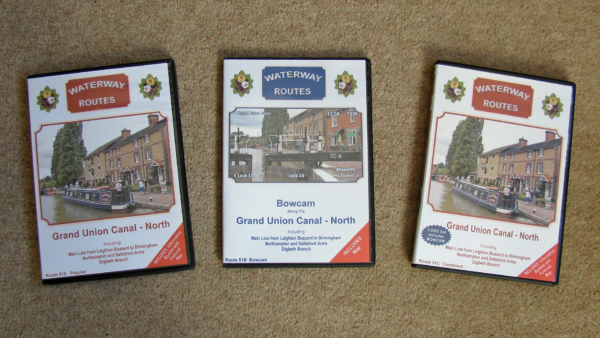 Route covered by the Grand Union Canal (North) DVDs. Grand Union Canal (North) DVDs in a choice of formats. Contents of Grand Union Canal (North) Combined DVD. Extract from my Grand Union Canal (North) Maps. 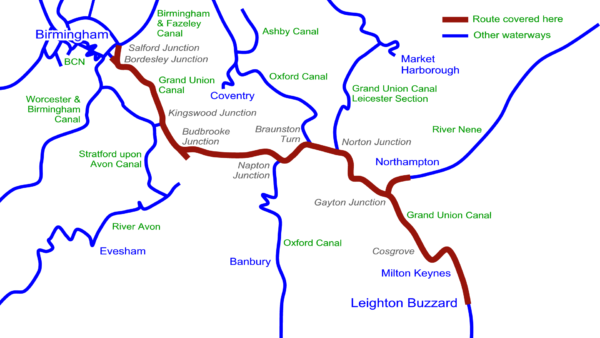 Read more about my Grand Union Canal (North) Maps. Save 10% on both when you buy a Grand Union Canal (North) Map and DVD together. Automatically deducted at checkout.